You had a late night—hardly–and today is your little sister’s wedding. You’ll be in countless photos and videos that will be preserved for a lifetime, but what you see staring back at you in the mirror will not do. You put pedal to the metal and swing in at the drugstore to grab some eye drops on the way to the ceremony. Problem solved. Or is it? The result? Chronic redness as well as a potential dependency or addiction to the eye drops. So what should you do if your eyes are red? The simple answer is to address the underlying problem. Get enough sleep, avoid eye strain by using the correct lenses when you work on your computer, and drink enough water during the day to stay hydrated. Eye infections aside, most red eye is caused by a condition known as dry eye. Those in dry climates like here in Montana and Wyoming, may find that eye lubricants (also known as “artificial tears”) increase eye comfort by adding much-needed moisture not present in the air. 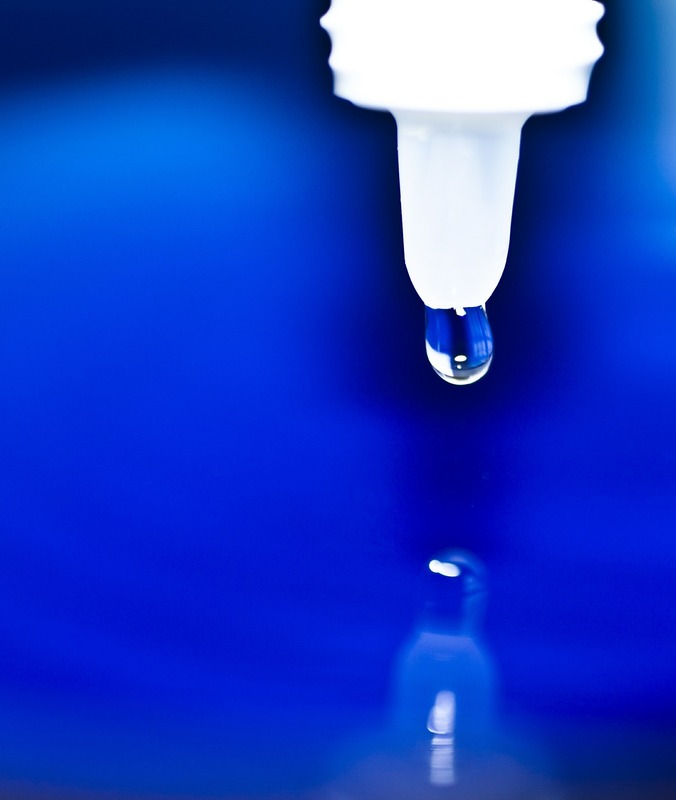 Like lotion, most eye lubricants are generally safe to use as needed because they contain elements of tears that are already present in your eyes. We recommend Refresh, Systane, Optive and Genteal. 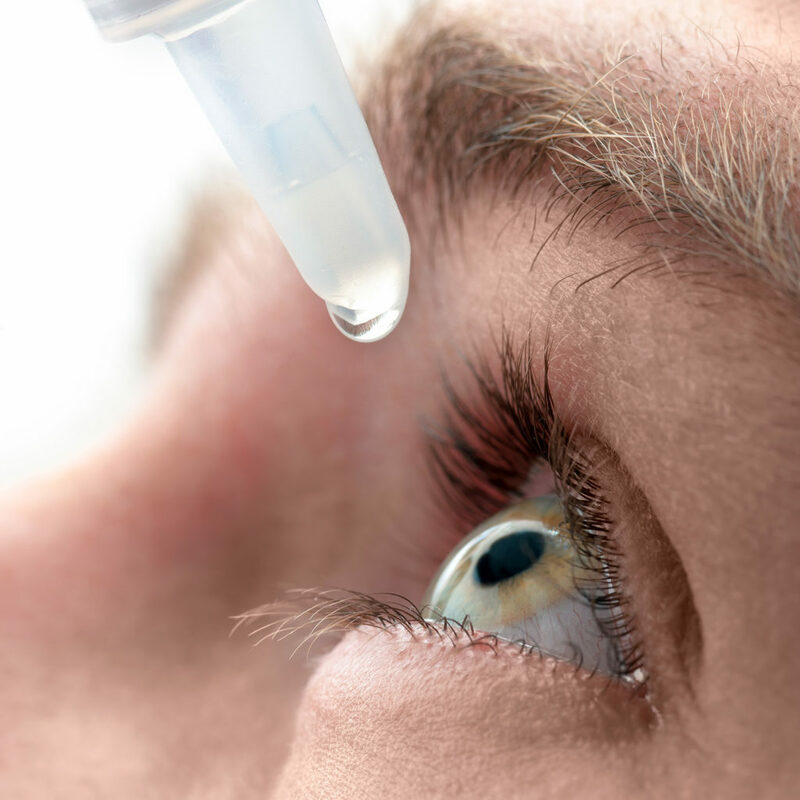 If you’re using eye drops more often than a few times a day or if you are allergic to preservatives of any kind, you may want to consider a brand that doesn’t have preservatives. We recommend Refresh Plus and Systane Preservative-Free. 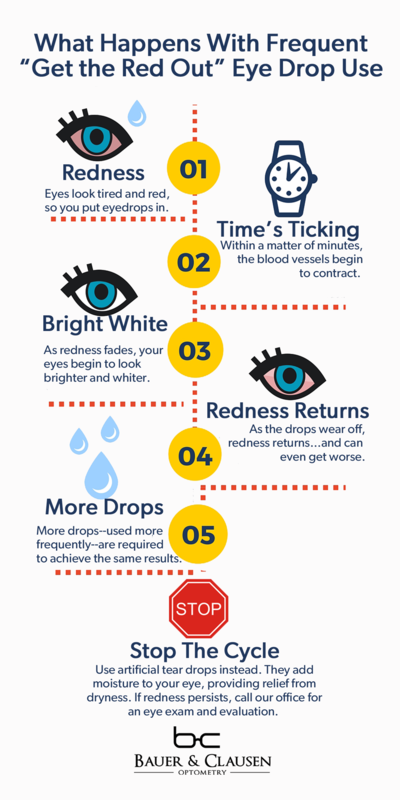 When in doubt, ask us which drops are safest for you, and be sure to bring up any questions or concerns you may have about eye redness or dryness during your next Bauer & Clausen Optometry eye appointment. Life is short. Get the shades.